Unni Aarariro from Avaludey Raavukal was one composition that, at one hand sounded so perfect that it felt out of place in AT Ummer‘s musical style and immediately set forth amber lights and faint sirens in your head 🙂 Some how one just felt that it had ‘crossed borders’ before it reached AT Ummer‘s harmonium. This note, is not one of disrespect. Rather it is one of fond appreciation of the way, the behind-the-scenes-genius of Malayalam film music, always let his musical inventiveness slip through. I am talking about RK Shekar here. For quite a long time, I used to wonder about the perky opening part of Chettikulangara bharani Nalil, which is so perfect in rhythm and groove that it almost sounds out of place. Am sure even you would have stopped and mused about the energy of that composition in the pallavi that kinds of wearily settle into the classical groove in the anupallavi.And suddenly you know. That is a very clever reworking of the The Champs Hit, Tequila (1958). There is no other dirge that we hold close to our heart than the classic Samayamam Rathathil (In the Chariot of Time, here I am, on my journey to heaven), which has become a symbol of passing regardless of caste, creed or social boundaries. No ‘Passing ‘ is complete without Samayamam Rathathil, if you are in Kerala, regardless of caste, color creed or social barriers. It is amazing that a hymn written as an exultation of praise and longing to be with the Lord, somehow over time gradually migrated to represent the collective pathos and separation of a whole community. I believe it was Aranazhikaneram(1970) that played an important role in the popularisation of this hymn that somehow got stamped as a dirge with the effective usage of that in the movie. Vayalar seems to have taken the original lines written by Rev V Nagel, tweaked it a bit, and Devrajan Master speeded up the tempo a bit to form Samayamam rathathil, as we know it today. But the song itself, along with the central idea of the chariot that’s taking one on a journey has some interesting cousins in history. I’m sure most of you know it, this is for the ones who don’t. Thiramala(1953), Naushad, Anokhi Ada (1948) and a paperboat. Thiramala (1953), based on the short story ‘Choondakkaran‘ by TN Gopinathan Nair, the celebrated literary icon of Kerala, also introduced the singer Shantha P Nair and the legendary Adoor Bhasi to Malayalam Cinema. I think this was also the first movie with a different climax, for the the North and the Southern audiences of Kerala. Of the 13-odd songs, which was more or less imitations of Hindi tunes of yore, P Bhaskaran should have been at his wits end, penning lyrics that some how came across very amusing when married to the tune. Continue reading Thiramala(1953), Naushad, Anokhi Ada (1948) and a paperboat. Umma (1960), the Meena Kapoor connection, and the Crow. Umma (1960), was a movie that could be remembered for many reasons. The first mainstream Malayalam film that successfully integrated the Muslim social fabric into “the commercially existing family drama format” in Malayalam Cinema and made a high-voltage potboiler out of it. It also rescued Udaya Studios from going under, and saw the debut of M.Kunchako as a director. But it was the 12 songs (!) from the MS Baburaj – P.Bhaskaran team that I think made it all the more memorable, and amongst them, the funky Kadalivazha Kaiyyilirunnu sung by Jikky. Continue reading Umma (1960), the Meena Kapoor connection, and the Crow. Ponkathir (1953), Lata Mangeshkar, Br.Lakshmanan and Jikki’s liveliness. It was the passing away of Adoor Pankajam that was the reason that made yours truly sit and watch Ponkathir (1953) one more time. Of the 13 songs, (actually 12 excluding the traditional Anjana Sreedhara), by the Br.Lakshmanan-Thirunayinaarkurichi Madhavan Nair team, there is this one, Padoo Maanasame Padoo that sounds suspiciously close to Lataji’s classic Laage Jabse Nain Laage from Daag (1952) ! The songs output of the Malayalam films from the early 60’s have always surprised me, specially the creative output of the Br.Lakshmanan-Thirunayinaarkurichi Madhavan Nair team, with most of their movies averaging at least 10 songs or more. Continue reading Ponkathir (1953), Lata Mangeshkar, Br.Lakshmanan and Jikki’s liveliness. IV Sasi’s Ina (1982), AT Ummer borrows from Ilaiyaraja. AT Ummer was the most busy music director of the late 70’s. I guess he was under so much pressure to sustain the success of his teaming -up with Bichu Thirumala, and most of the times buckling under Producers who had a ready made Hindi or Tamil tune that had to be repackaged for their project. 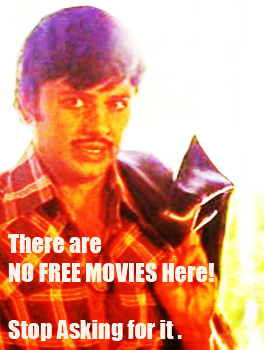 It isn’t any different when it comes to IV Sasi’s Ina ( 1982), which had 3 of its songs borrowed from other languages. Continue reading IV Sasi’s Ina (1982), AT Ummer borrows from Ilaiyaraja. Neelaponmane, Nellu (1974) and Geetashree Sandhya Mukherjee. It would be kind of missing the point to say that the amazing repertoire of Salilda‘s contribution to Malayalam Cinema, more or less revolves around Chemmeen‘s soundtrack, every single one of them. It was close to around 25 films, the last being Vellam (1984), produced by actor Devan ( his first and last stint in production). What is not commonly known to most who deeply love Salilda’s music style was his dexterity in adapting his tunes across Indian languages which would have given anyone else the ants-in-pants syndrome. Not that all were successful. I always wince everytime I listen to Kadali, Chenkadali from Nellu, rendered by Lata Mangeshkar for Salilda in Malayalam. Surely, S. Janaki or P.Susheela were available, weren’t they? Continue reading Neelaponmane, Nellu (1974) and Geetashree Sandhya Mukherjee. Raagendu Kiranangal and Shabana Azmi. Swami (1977 ), directed by Basu Chatterjee and produced by Jaya Chakravarty (mother of Hema Malini) had the melodious Pal Bhar Main Yeh Kya Ho Gaya , composed by Rajesh Roshan and rendered by Lata ji, brought alive on screen by Shabana Azmi. Continue reading Raagendu Kiranangal and Shabana Azmi. Thamasamenthe Varuvan inspired from Talat Mehmood. 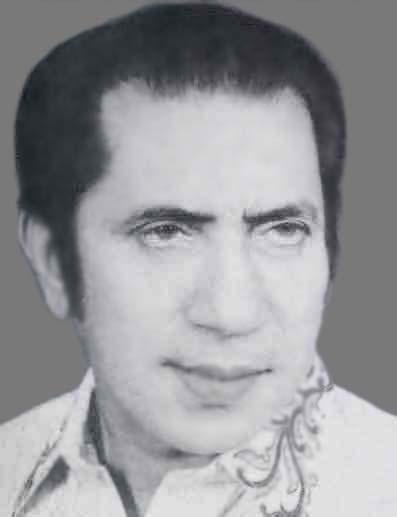 Recently read about a quote by Zero Babu, a long time associate of the legendary MS Baburaj, how he literally adored Talat Mehmood and his compositions, mostly his vocal style. As we listen to Thamasamenthe Varuvan, we realise this could be nothing else than a way of offering tribute to the genius of Talat Mehmood. Continue reading Thamasamenthe Varuvan inspired from Talat Mehmood.